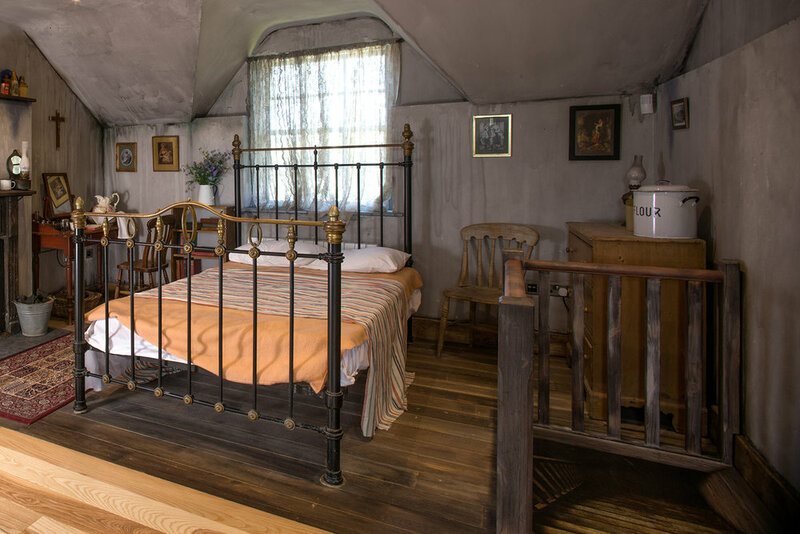 The project's goal was to reinvigorate the area by creating an exciting and family-friendly visitor experience in a group of converted 19th-century cottages adjacent to the round tower. The new visitor centre incorporates an exhibition, café and walled garden. Our initial work focussed on developing and delivering an Interpretation and Learning Strategy for the exhibition. The Strategy acted as the design brief for the exhibition, setting the findings from our preliminary research stage. This included: an analysis of visitor groups and their needs, objectives for the visitor experience, the vision for the interpretive design, outline concepts and key learning outcomes for each exhibition space. 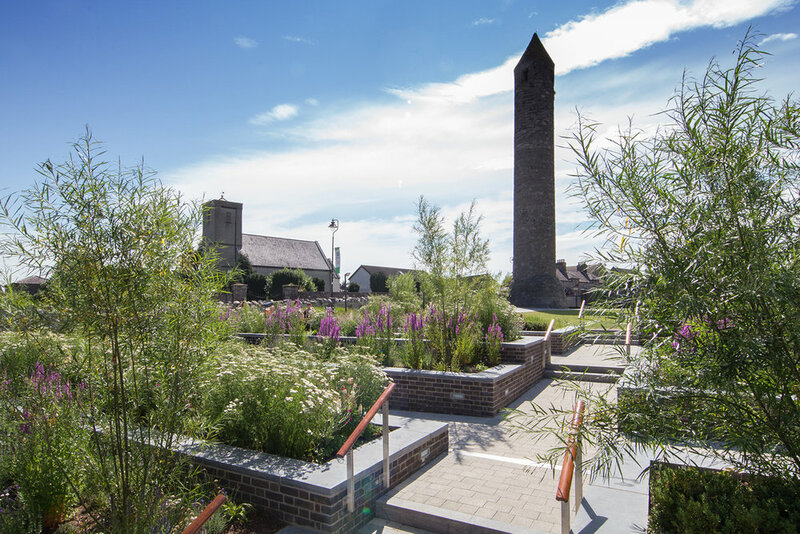 We aimed to create a sense of place for visitors, that would fire their imagination with interesting and relevant stories about Clondalkin’s history and heritage. We made good use of a rich resource of archival material including prints, drawings and photographs from the past two centuries. This lead to an analysis of the changing cultural values attributed to the tower, which culminated with its adoption as a symbol of national identity. A lively, bright colour-palette is used throughout the space and enlarged illustrated figures help visitors connect with the narrative and navigate the spaces, each of which is identified by a distinct accent colour. The illustrative approach is carried across to an immersive AV experience. 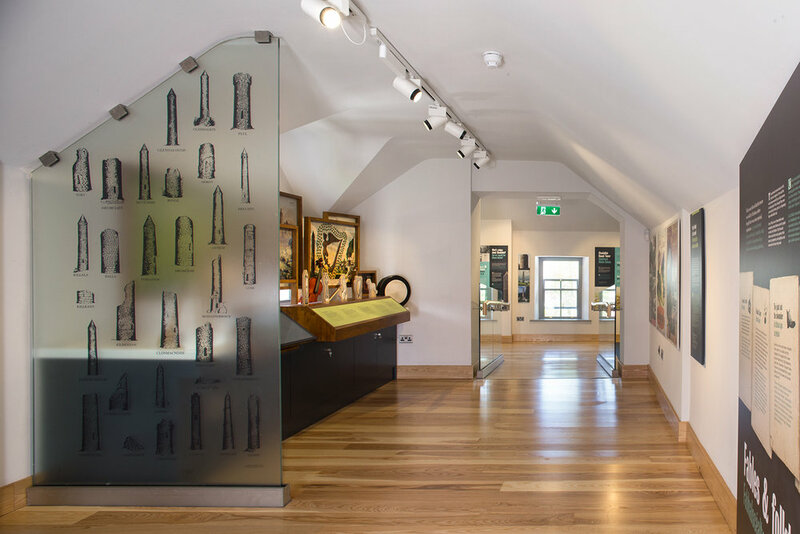 As visitors will rarely have the opportunity to go inside the tower itself, the AV gives them a ‘tower’s-eye’ journey through Clondalkin’s turbulent early medieval history. 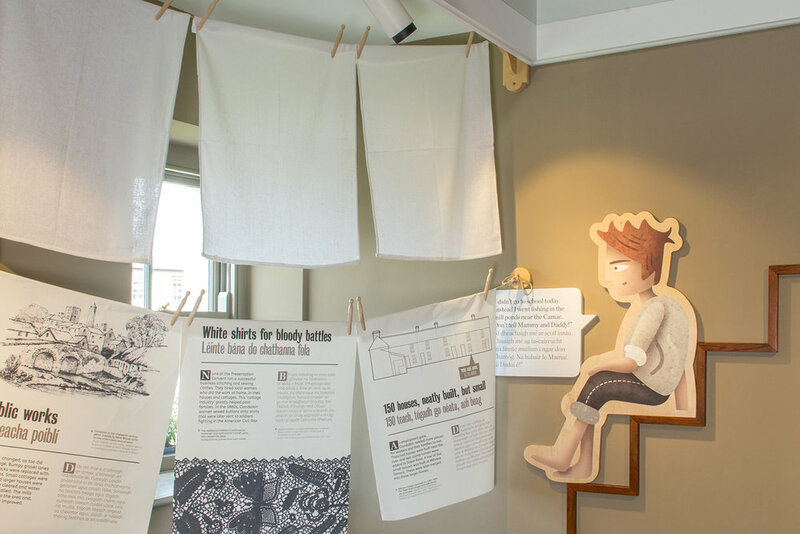 The exhibition also combines interactive elements which promote intergenerational engagement, experimental play and provoke debate amongst visitors. 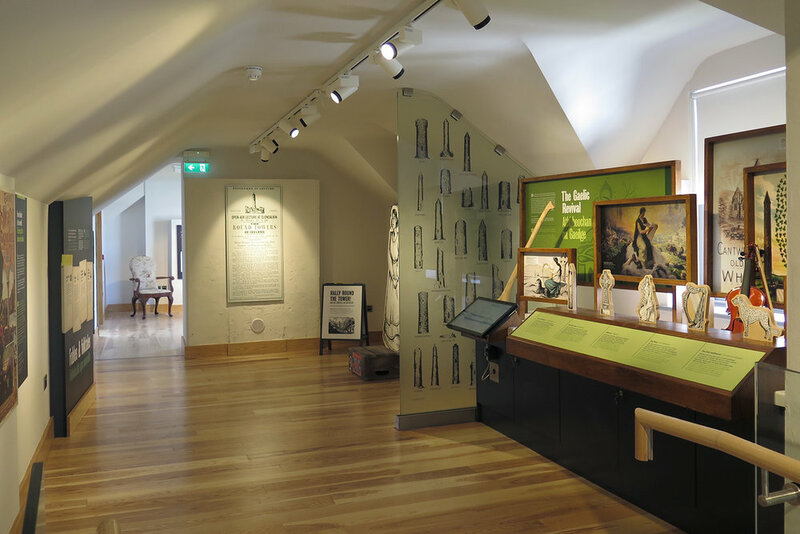 …enlarged illustrated figures help visitors navigate the narrative and the spaces, each identified by a distinct accent colour.